Firefox 3.0.6 has been released by Mozilla. 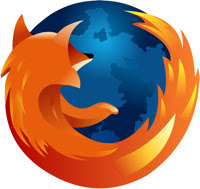 As with all minor releases in Firefox 3, this release mainly focuses on security and stability fixes. Specific stability issues addressed include fixing display issues with long running Firefox processes and improving the interaction of scripted commands and plugins. For the privacy minded, the client user ID has been removed from crash reports. Finally, I've included a list of security fixes below.